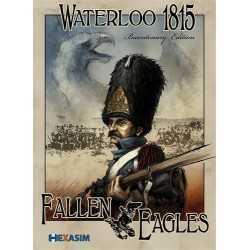 Waterloo 1815, Fallen eagles is a regiment/battalion level game of the famous battle. 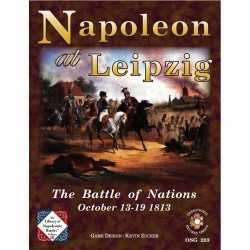 The game includes 400 counters (French, Anglo-allied and Prussian order of battle for June 18th 1815), a 108 x 75 cm map (200 meters per hexagon), various play aids, a rule book and a playbook. It is a one hour of real time per turn game that can be completed in 5 to 10 hours of play. 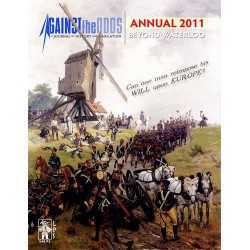 Beside the full battle game, several scenarios are available (Hougoumont, D'Erlon attack, Plancenoit). 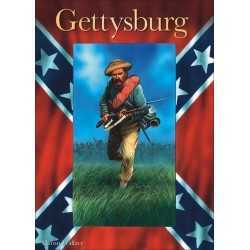 In addition, what if options will allow players to simulate alternate history variations to the battle. 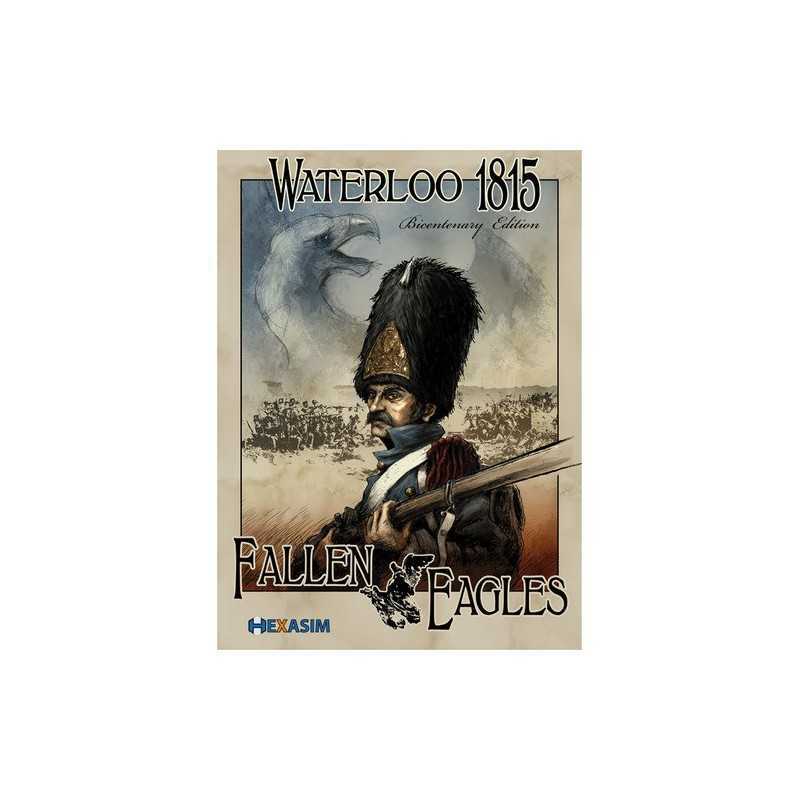 Fallen Eagles provides a detailed view of the battle but in a playable way. The focus is on morale, attrition and commitment of formation (division & corps) at the right time, rather than tactical chrome. 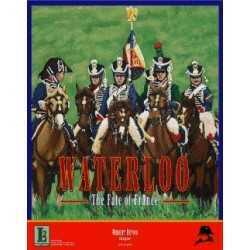 The detailed order of battle and the scale of the game allow players to really see the action and the game system provides a quick but realistic resolution. A new system has been created and combat result tables have been tested against actual historical results of this battle. This system is a mix of well-known concepts and new features to maximize playability and realism of outcomes. Formation are given simple orders than limit their ability to freely react to any sudden change of priority. Orders take some time a while before being changed. 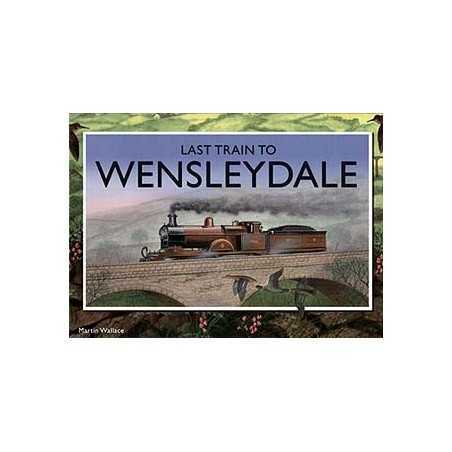 Units are classically rated for size, quality and movement. Formations activate one after the other at player's choice but have to follow the order they received at the beginning of the turn or even before. Game features offensive fire, defensive fire, opportunity fire, charge and counter charge, retreat before combat and melee. A lot of classical ""prohibitions"" are transformed into options: for example, cavalry can move from ZOC to ZOC but risk counter charges or more opportunity fire. A ZOC of a strong unit is therefore not the same as the ZOC of a weaker one. The game turn has a random ending procedure and players are never sure to have time to move all their formation reflecting the command control issues of any battle. Also, the fatigue and friction factors are built in a potentially shorter turn length in the latter stages of the battle. Focus on morale and attrition is a testimony of a battle which was a test of will of two densely packed armies fighting head to head. Players will have to choose which unit will ""lead"" the attack and take the first fire. Failing a key morale test can make the difference between a stalled attack or a promising breakthrough. Game variations will include, for example, the Prussian arrival sooner or later than history, or a better weather the day before allowing for an earlier start of the french attack. Victory is determined with ""sudden death"" objectives given to both sides in order to simulate historical constraints but also by control of key objectives and losses at the end of the game. 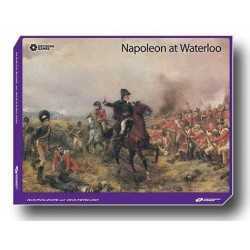 According to Wellington, Waterloo was a ""near run thing"". Will the thin red line hold against the French furia again?